If the grass is thin, overseeding it to thicken the grass can also help kill the creeping Charlie. 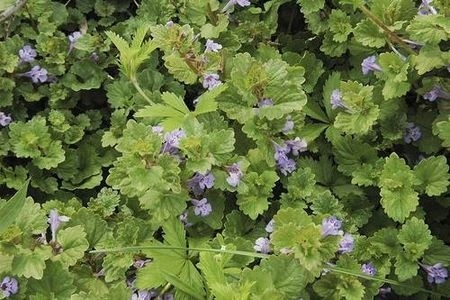 When mowing over an area that contains creeping Charlie, use a bagging lawnmower. Any clippings left on the lawn can root, spreading the weed over a larger area.